The Manhattan condo market is starting to feel like the beauty counter in a fancy department store — with everyone from perfume spritzers to makeup artists vying for buyers’ attention. “It almost feels like you’re taking a client to the Bloomingdale’s cosmetic counter,” said Douglas Elliman broker Carol Staab, who works in the luxury space, referring to the hard sell that developers are putting on buyers. Manhattan inventory has been piling up for three years now. And there’s an avalanche of more product about to hit. In 2019, the inventory of new condos alone is expected to hit a massive 7,900 units —well above the average for the past few years, which has hovered between 3,000 and 4,000 units, according to appraisal firm Miller Samuel. Meanwhile, it’s taking developers and brokers longer to sell units, particularly in the uber-luxury sector. And Miller Samuel is predicting that by 2019 it will take nearly 4.5 years to sell out all the new development inventory in Manhattan versus the two years that’s considered healthy. “If you do the math … then clearly the years [it takes] to sell out climbs,” said company founder Jonathan Miller, who noted that the federal government’s tax overhaul and rising interest rates could further slow sales. The rampant incentives being offered to both brokers and buyers in the new development world speak directly to that reality. But not all of Manhattan’s neighborhoods are created equal — at least when it comes to selling new luxury condos. To pinpoint which areas are most flooded with inventory, The Real Deal analyzed the new condo pipeline — including both unsold units (minus in-contract properties) as well as units set to come online in the next few years. That analysis shows that the East Village/Lower East Side, the Far West Side and the Financial District not only have some of the highest levels of inventory, but also have pipelines that are likely to keep ballooning. Robin Schneiderman, director of business development for Halstead Property and Brown Harris Stevens Development Marketing, said that in a market with slowing sales, there’s a growing divide between Manhattan’s most desirable neighborhoods and everywhere else. Less desirable areas, he said, will continue to see listings take longer to sell. “Especially when there is a deep supply of inventory to be absorbed,” he said. “It’s going to take a long time to move through those units,” he said. Here’s a look at three areas with significant supply — and one with an undersupply. The Financial District has undoubtedly come a long way since the turn of the millennium, when its streets went dark at the end of the workday. But while it’s had plenty of cheerleaders pushing to make it a more 24/7 neighborhood with a better residential-commercial split, the question now might be: Does it have too many condos? There are more new condos set to come online over the next few years in the Financial District and Seaport area than in any other part of Manhattan, TRD’s analysis shows. The neighborhood has a staggering pipeline of 1,928 new condo units — not including those currently under contract. New development marketing specialist Nancy Packes crunched the numbers and found that FiDi buildings that have already started closings have sold an average of 16 percent of their inventory a year. Given that pace, Packes predicted that it would take eight years to sell out the full pipeline of inventory in the neighborhood — nearly double the Manhattan average. But she said it’s unclear if Harry Macklowe’s One Wall Street, the neighborhood’s largest project, can sell units at the same pace as smaller buildings. The developer bought the 1.1-million-square-foot Art Deco tower — the former Bank of New York Mellon building — for $585 million in 2014, and had originally planned on building a mix of condos and rentals. But last year he doubled down on the sales market, announcing that he would turned the iconic, Ralph Walker-designed building into 566 condos. That was a bold move given the nearby competition. Macklowe is indeed betting he can still tap into the well of Chinese buyers that many feel has gone dry. He and CORE’s Shaun Osher, who is marketing the property, flew to Asia early last month for a whirlwind sales road show in Hong Kong, Shanghai, Beijing and Shenzen, according to the South China Morning Post. Osher declined to comment on the trip or the marketing effort, but said he believes overseas buyers will still open their checkbooks for luxury product. “I will say we’re seeing a global demand for luxury real estate in New York City,” he said. And Macklowe isn’t the only one pumping new condos into the Lower Manhattan pipeline. Just two blocks away from One Wall, LCOR — the development firm owned by the California State Teachers Retirement System — recently revived plans for another project that will add hundreds of units to the neighborhood. In April, LCOR filed an offering plan with the state attorney general’s office to convert the 308-unit rental building at 25 Broad Street into condos, eyeing a projected sellout of $395 million. But LCOR principal David Sigman said he’s not worried about the amount of inventory in the surrounding market, arguing that he’s targeting an undersupplied segment. “For this price point, there’s just not a lot out there,” said Sigman, adding that pricing will likely range from $720,000 to $5.3 million. That comes to about $800 to $2,000 per square foot. With sales in the ultra-luxury market slowing, many developers are going after this “affordable luxury” sector. But sources say if too many developers start building to that price point, it could just shift the oversupply to another segment of the market. Meanwhile, there’s a slew of other significantly sized projects in the works in the area, adding to concerns about inventory levels. David Lichtenstein’s Lightstone Group is getting ready to launch its 244-unit, David Adjaye-designed 130 William Street. Meanwhile, L+M Development Partners filed an offering plan last July to build 110 units near City Hall at 25 Park Row, and right next door Urban Muse is building 31 units at One Beekman Street. There are others in the planning stages, as well. Among them are Robert Gladstone’s 45 Broad Street, which is slated to have 206 units, and Lexin Capital’s rental/condo hybrid at 75 Nassau Street with 229 units. And that’s not even counting all the projects already on the market in FiDi. Fortis Property Group, for example, is currently constructing the 80-unit One Seaport (also known as 161 Maiden Lane) in the Seaport section. The majority of those condos — 73 units — are under contract. But the project has been plagued by delays. The offering plan with the AG’s office shows that if Fortis doesn’t start closings by June, it will have to update the project’s budget. And if the new budget exceeds the original by 25 percent or more, in-contract buyers can back out. Elsewhere, Bizzi & Partners, New Valley and Michael Shvo launched sales in October at 125 Greenwich Street, which has 275 units to sell. All of those developers are undoubtedly strategizing to avoid the fate that other nearby projects have met: holding onto excess inventory years after launching. That’s the situation GFI Development is facing at its 68-unit condo conversion of 5 Beekman Street. Four years after launching sales, the developer still has 15 units left, or about 22 percent of the project. Meanwhile, the Claremont Group still has 36 percent of its 52 units at its conversion of the prewar 101 Wall Street, and Time Equities’ 50 West Street still has nearly 28 percent of its 191 units remaining. 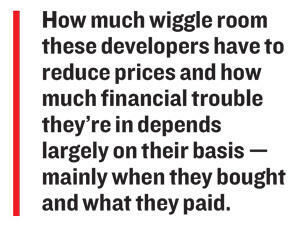 How much wiggle room these developers have to reduce prices and how much financial trouble they’re in depends largely on their basis — mainly when they bought and what they paid. But the harsh truth that all developers face is that time is money. Some developers are buying themselves more time to sell units and getting inventory loans. 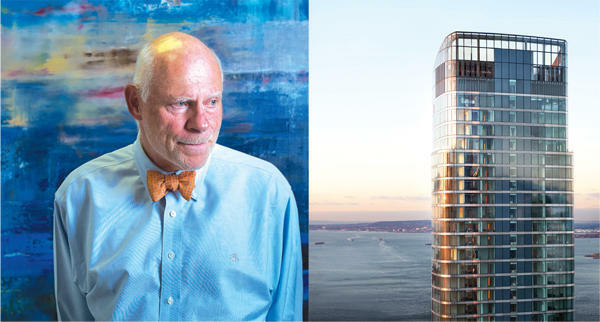 Francis Greenburger landed a $125 million condo inventory loan — allowing him to keep a portion of the units at 50 West as rentals for several years. But the developer bought the site in 1980s and likely has more financial flexibility than most. But sources say nearly all the projects launching now have to come to terms with lower pricing than they planned. Jordan Sachs, CEO of the brokerage Bold New York, said the sales pro formas developers put together when they were acquiring their sites are “10 or 15 or even 20 percent higher” than the prices they’re projecting today. But he said developers who lower prices are pretty much guaranteed to move units. “It’s just a matter of where that point is,” he said. 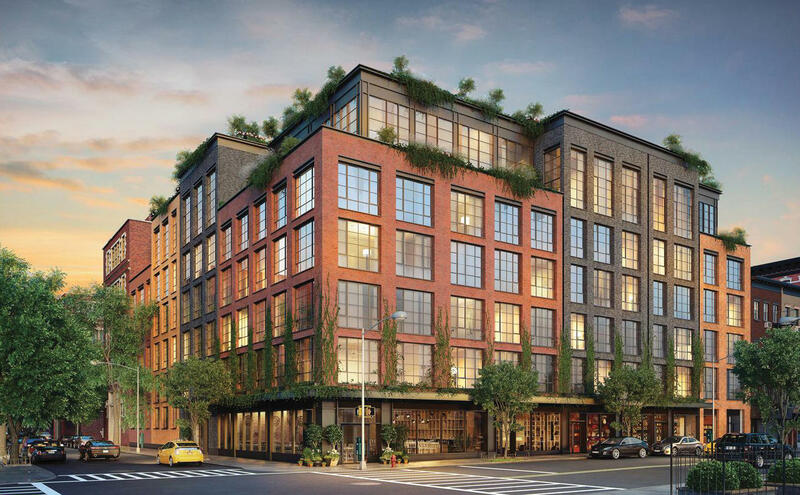 Now the LES and East Village have the second-highest number of units in the pipeline when compared to all Manhattan neighborhoods, according to TRD’s analysis. Other Lower East Side projects include the 55-unit 242 Broome — which Taconic Investment Partners, L+M and BFC Partners are building -— and Steiner NYC’s 82-unit 438 East 12th Street, which is nearly sold out. “Given the current absorption trends, we don’t want to be too long on market,” he said. All you need to do is look at the statistics to see why it’s a bad time to be building on Billionaires’ Row. The Manhattan luxury market — the top 10 percent of the market — saw average prices drop by 15 percent and sales volume plummet 24 percent in 2018’s first quarter compared to the same time last year, according to Miller Samuel. And inventory in the luxury sector rose at more than twice the rate of the overall market during that time. Still, One57 and Harry Macklowe’s 432 Park have roughy 30 percent of their inventory to sell. Nonetheless, Extell’s Gary Barnett is banking on the fact that there’s one more round of luxury sales to capture with his 179-unit Central Park Tower at 217 West 57th Street. But even he has expressed concern about new condo inventory levels across the city. “We are absolutely concerned about the amount of supply on the market, the amount of supply that’s in the pipeline,” he said at a recent conference in Brooklyn. But unlike Lower Manhattan or the Lower East Side, Billionaires’ Row is seeing inventory decline — the pipeline has been shrinking steadily since 2016’s third quarter. That may be because developers are staying away, perhaps because the barrier to entry is a lot higher than it is elsewhere and because the uber-luxury market is floundering. Other projects that TRD classified as Billionaires’ Row — even if they’re not actually on 57th Street — are Hines’ MoMA Tower at 53 West 53rd Street, which has 169 units, and Vornado Realty Trust’s 220 Central Park South, which has 87 units and where there’s a palatial four-unit combo reportedly in contract for $250 million. But the biggest wild card on the strip is JDS Development and PMG Group’s 60-unit 111 West 57th Street, which has been plagued by infighting among capital partners as the tower rises out of the ground. Sources said the developers changed their marketing strategy last year. Instead of an all-out blitz to attract buyers by aggressively calling brokers, the developers pulled back and went for a quieter, more exclusive process — mimicking the strategy Vornado employed at 220 CPS. But it’s not just rival developers that Billionaires’ Row projects need to contend with. They’re also competing with investors in their own buildings, who bought units earlier in the cycle and are now looking to cash out. 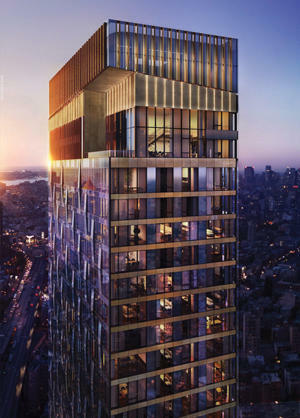 Canadian billionaire Lawrence Stroll, for example, sold his 85th-story One57 pad in May for just shy of $54 million — a roughly $1.6 million haircut off the $55.6 million he paid in 2014. At least three other units in the building have traded at a loss, and Extell kicked off a spate of sponsor unit sales earlier this year by offering deep discounts. These resales can undercut prices for sponsors. “A lot of buyers got in early when deals were reached with meat on the bone,” said Elliman broker Michael Graves, referring to the low prices they bought at, which offer upside for selling. “There’s very little to lose by trying to sell an apartment now, knowing that if the sale doesn’t go through it will be off-market for three to six years,” he said. And by that time, Graves believes, the next batch of luxury buyers could lose interest in the supertall towers along 57th Street. “I believe the next wave of high-net-worth buyers, frankly, is not going to be all that interested in living on the southern quarter of Central Park,” he said. 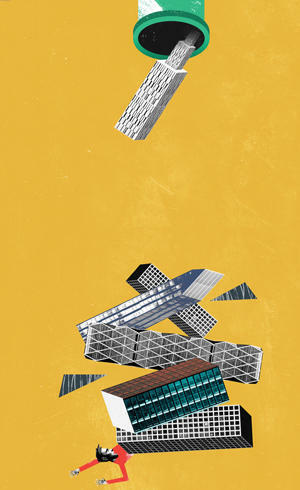 The question is, can the developers on Billionaires’ Row unload their inventory before that happens? Developers in Greenwich Village might feel like they’ve been transported back to the height of the market in a time machine. Supply is low, demand is strong and the pipeline of new units isn’t going to take well into the next decade to burn off. In Greenwich Village and the West Village, for example, there are only 91 units either on market or in the pipeline, and inventory has been declining since the tail end of 2015. Unless demand picks up significantly, sources say, the overall acute inventory levels will mean that buildings will take longer to sell out. That, in turn, will increase the financial burden on developers. Prime’s Dankner said that with so many options, buyers feel zero sense of urgency. Miller Samuel’s figures show that the Manhattan condo pipeline will finally start to shrink in 2020, at which point, he thinks, developers will start to file new building applications. “I think the development community looks at 2021 development as the start of the next cycle,” Miller said. In the meantime, inventory issues are impacting all sectors of the market —from land sales to the investment sales market. “I call it the canary in the ‘goldmine,’” said Stuart Siegel, president of Engel & Völkers NYC. One of the big questions is, at what price will these units sell? Andrew Heiberger — who shocked the industry in April when he shuttered the resale and leasing divisions of his firm, Town Residential — said the extensive pipeline of inventory will only push prices one way.